If you're using Squarespace to build your website but want the simplicity of Selz for selling your products - no problem. Here's how to do it. To begin with, you'll need to have your own Business Squarespace account and have created an item within Selz. *Please take note that due to Squarespace restrictions, you must be on the Business plan to use embeds with the following steps. 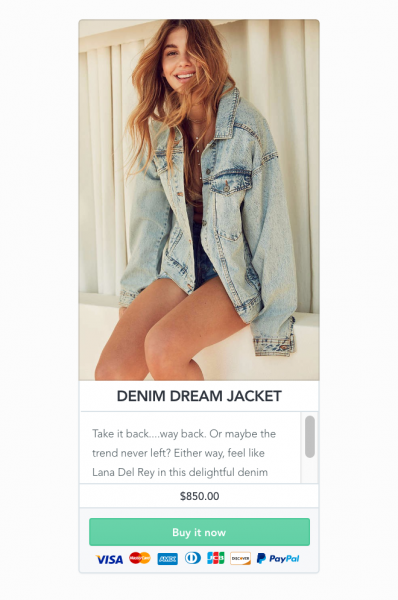 First copy the button code for your Selz item. To do this, select Buttons & Widgets from the main menu and then copy the code from the right-hand panel. Now that you have your HTML code copied. 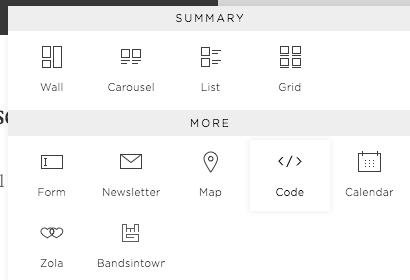 Go back to Squarespace and add a Code content block to your Squarespace page by clicking on the '+' when editing a section of content. This will allow you to enter HTML directly into your page. Paste the code copied from Selz and click Apply. 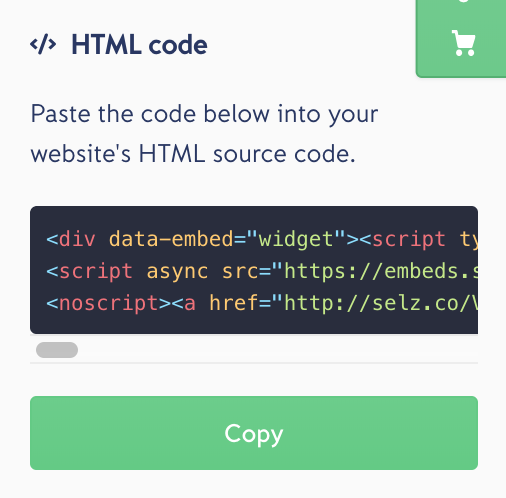 At this stage, you won't be able to preview the Selz button/widget due to Squarespace restrictions on embedded code. 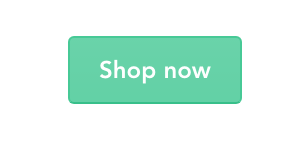 Simply sign out of Squarespace or click 'Preview in safe mode' to see your new button or widget on your Squarespace site. 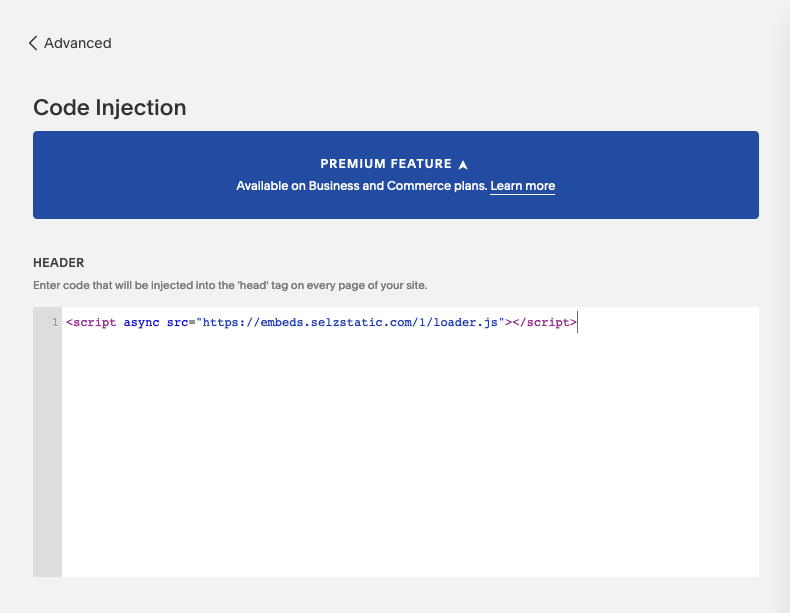 You’ll also need to add our loader script to the "Code Injection" section in Squarespace settings so it's loaded globally and looking for page changes. 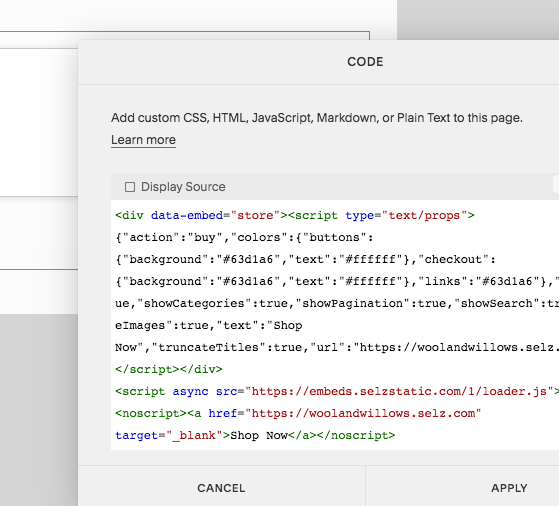 It sounds complicated, but it really isn’t- you just have to copy the following code and paste it under Settings > Advanced in the "Header" section of your Squarespace page.